Real time chance of rain or snow updates directly on your home screen. 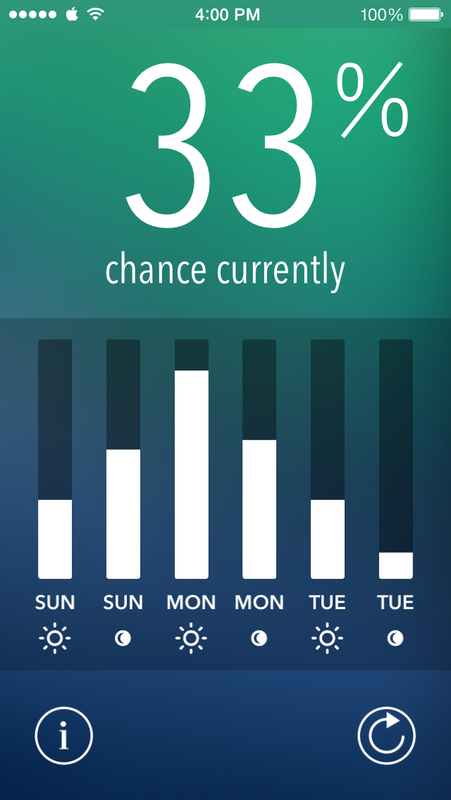 Beautiful, simple forecast design let's you stay ahead of the storm. 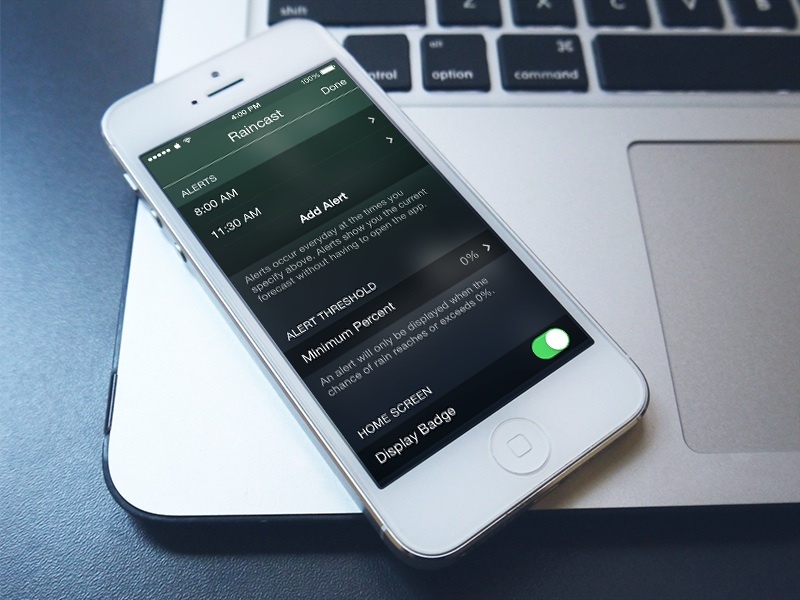 Create automatic alerts for any time of the day. Never forget an umbrella again. 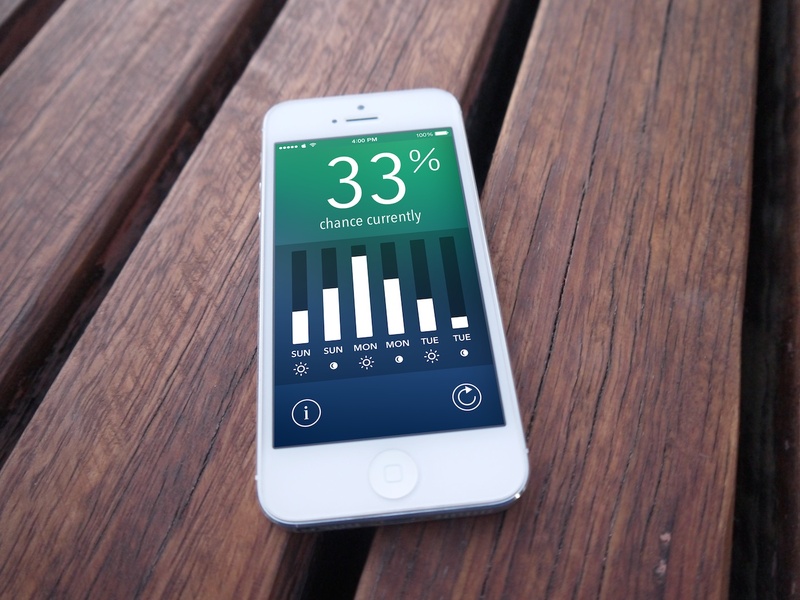 A beautiful app built with the idea of giving you rain probability at a glance, Raincast displays the chance of rain or snow directly on the home screen icon making it quick and easy to stay up-to-date on the latest forecast. 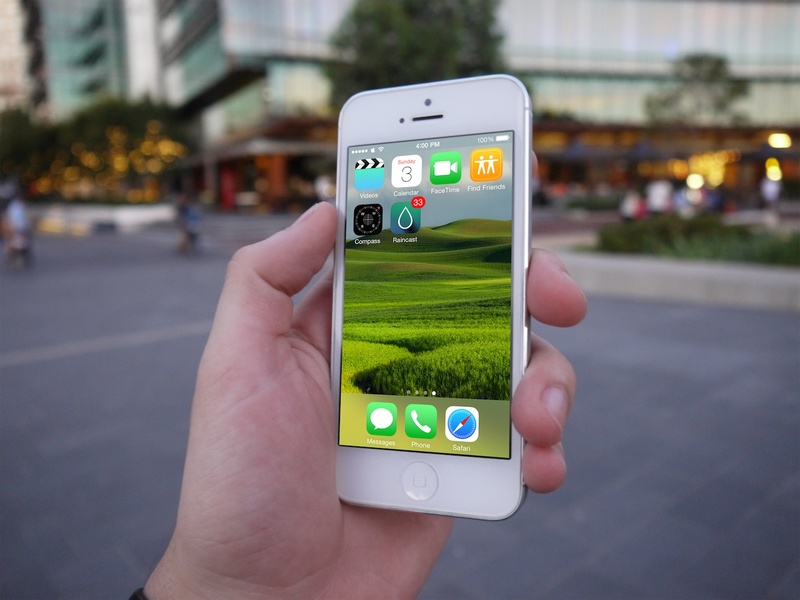 We’ve taken care to focus on the details - from the design of the app icon to the weather refresh animation, Raincast provides an elegant and efficient user experience that's simple yet powerful to use. Do you check the rain forecast before going to work? Before going out with friends? Or before going out for a run? 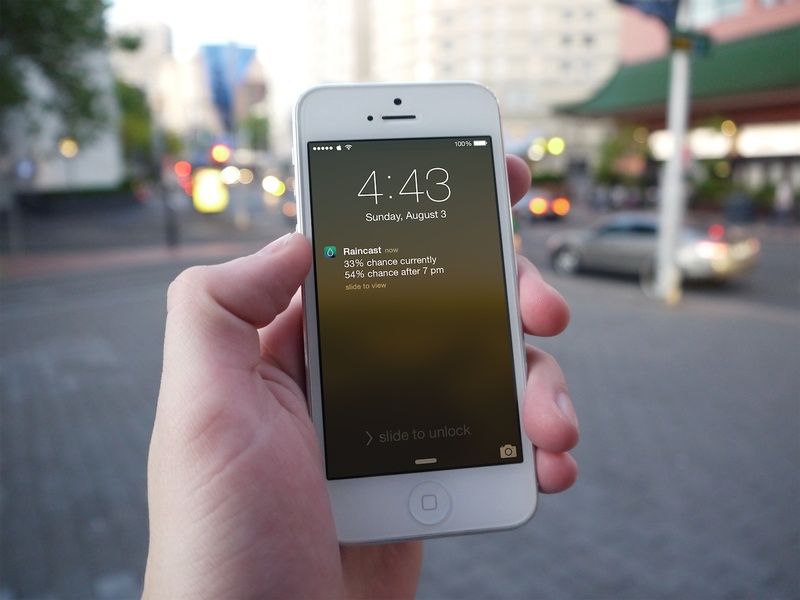 Create automatic alerts for any time of the day and quit losing valuable time. 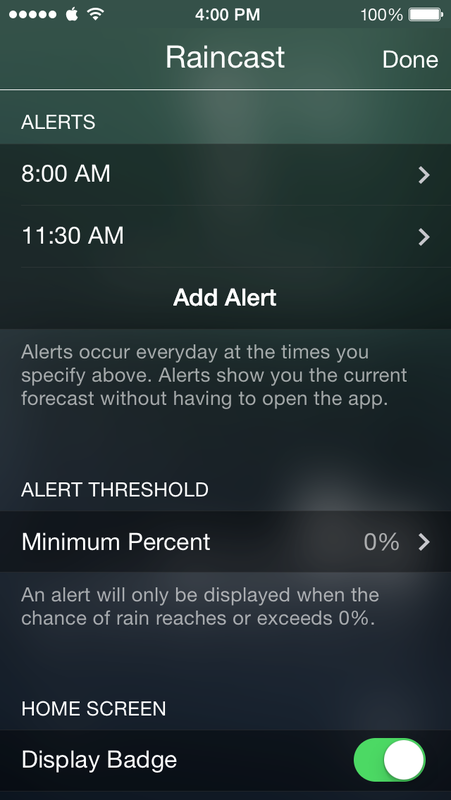 Raincast will inform you of the latest rain outlook directly on your lock screen and notification center.